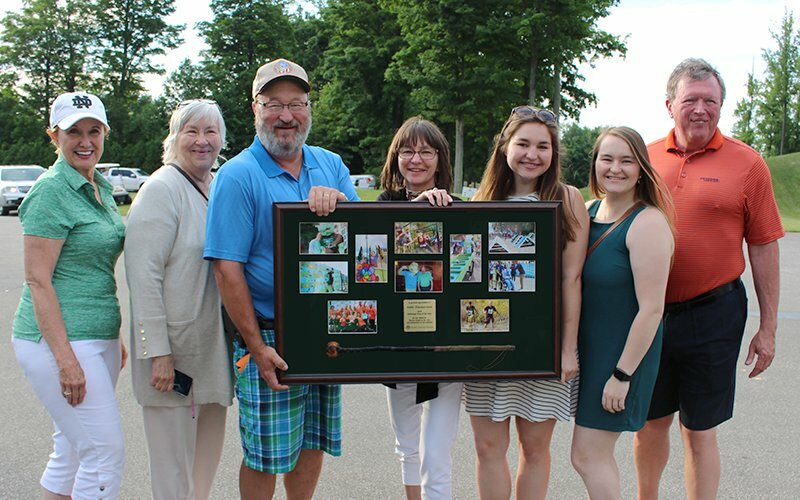 The lead builder of the Barber Beast on the Bay obstacle course received the “Person of the Year” award at the Shillelagh Golf Tournament on Thursday, June 21 at Whispering Woods Golf Course. The award was presented to Andy Zimmerman during the dinner that concluded the tournament. 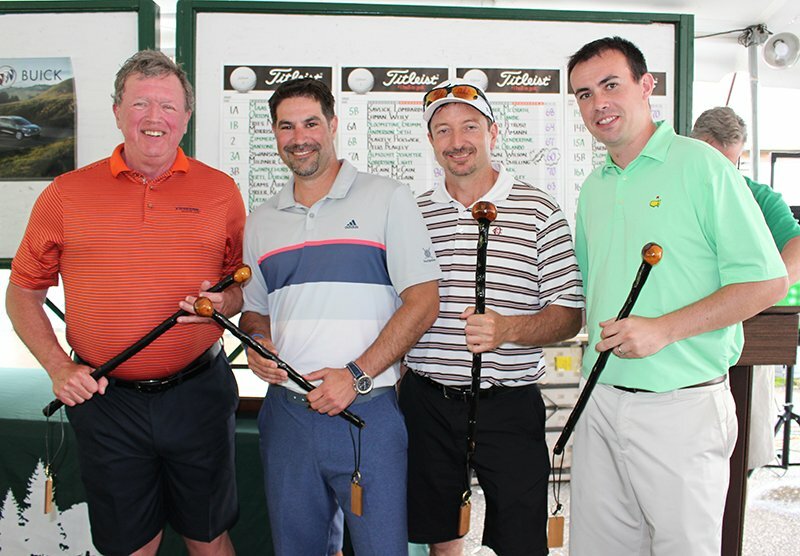 The prize for the winning foursome, authentic shillelaghs handcrafted in Ireland, was presented to the team of Mark Patrizia, Rich Brown, Mike Wolf and Matt Shilling. Zimmerman has served as manager of code enforcement for the City of Erie for nearly 20 years. He has been working in construction nearly his entire life, starting at age five when he began helping his father in his contracting business. Andy has been leading the Barber Beast on the Bay building team since 2016, spending countless hours designing and constructing obstacles from his home workshop for both the 10-mile and adapted course. He works year-round on the event, and his vision has resulted in challenges that have participants swinging across water holes and dangling from inverted monkey bars. Last year, he led a complete redesign of the adapted course that was enjoyed by more than 100 individuals with intellectual and physical disabilities. Andy has helped to ensure the success of this largest fundraising event benefiting the Barber National Institute, and considers his work on the Beast “an act of love.” He particularly enjoys his work on the adapted course, where he delights in seeing the enthusiasm of the participants as they tackle the obstacles. Andy and his wife, Lisa, reside in Fairview and have two daughters, Emily and Erica. The dinner featured the presentation of several skills awards, as well as drawings for major prizes, including a NASCAR experience that will give the winner the opportunity to drive a race car on a professional course. All proceeds from the Tournament benefit services at the Barber National Institute for children and adults with autism, intellectual disabilities or behavioral health challenges and their families.